Home Certifications Why to hire Certified Forensic Accounting Professionals ? Why to hire Certified Forensic Accounting Professionals ? If this trust is met with fraud then two equally disheartening and unprofitable reactions, might take place – the first, the customer loses his trust in your brand and the second; he becomes very hesitant and reluctant to Invest. Either of these reactions will hamper your future sales and damage your reputation. To protect the interests of your organisation and your investors you need a strong Fraud Risk Management or Vigilance team in your organisation. 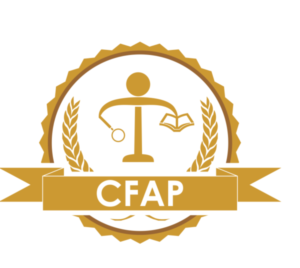 CFAP is the forensic accounting benchmark. It is necessary that you hire CFAP. With Riskpro as your antifraud solution provider, you get extremely capable antifraud resources. Riskpro solution is multi-layered in nature. We are not a recruitment, executive search or HR firm. We are the domain experts. We teach the professionals to fight the frauds effectively. We understand the fraud risks involved in the system. Having a Certified Forensic Accounting Professional (CFAP) helps the organisations to have the right person to do the right job of identifying frauds. Riskpro believes that its service quality and delivery is enhanced by investment in deep and transparent relationships with its clients built on mutuality of interest and well-being. Towards this end, it has consciously invested time and efforts benchmarking its practices against the best in the world, committed to set standards in service. Antifraud unit helps the organisation to cut the fraud losses and the performance of this unit is measurable. If you are looking to incorporate the fraud control unit or fraud risk management team or the forensic accounting team then we have the solution for you.